Melt hearts in Scala 48912. This romantic sequin gown has a sweetheart neckline, beaded empire waistband, sleek side cutouts, and beaded spaghetti straps, which cross over the open back. The sultry cutout on the lower back creates a two-piece illusion from behind. Sequins shimmer over your curves in the floor-length, column skirt. 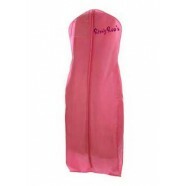 Impress your date when you wear this long gown to a military ball, wedding, or prom.